A unique product. Greek delight -Sugar free! An original, first appearing new product! 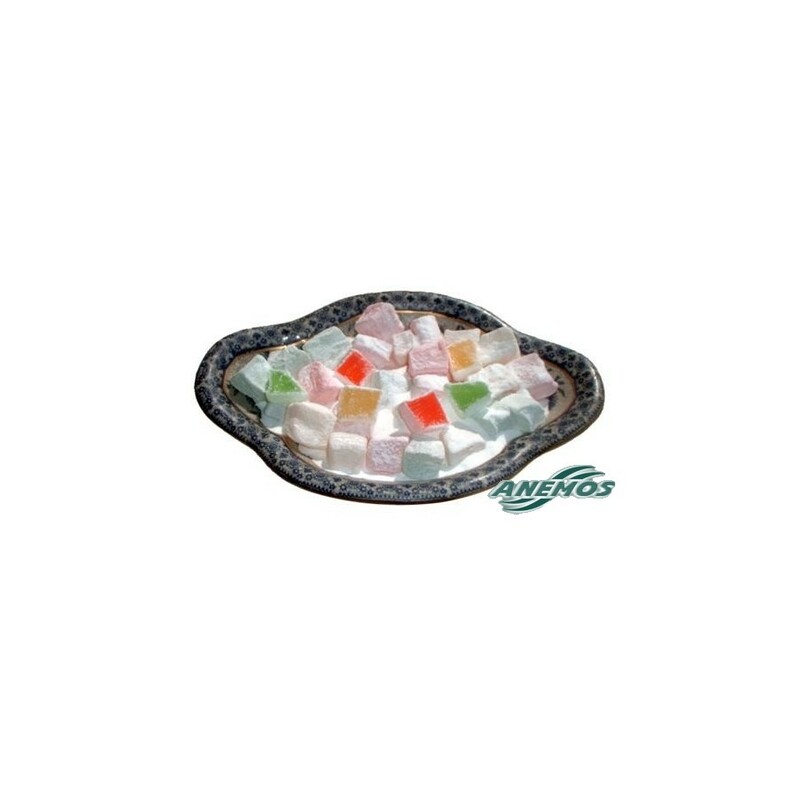 Greek / Turkish delight (or Loukoumi / loukoum) without added sugar (sugar free). 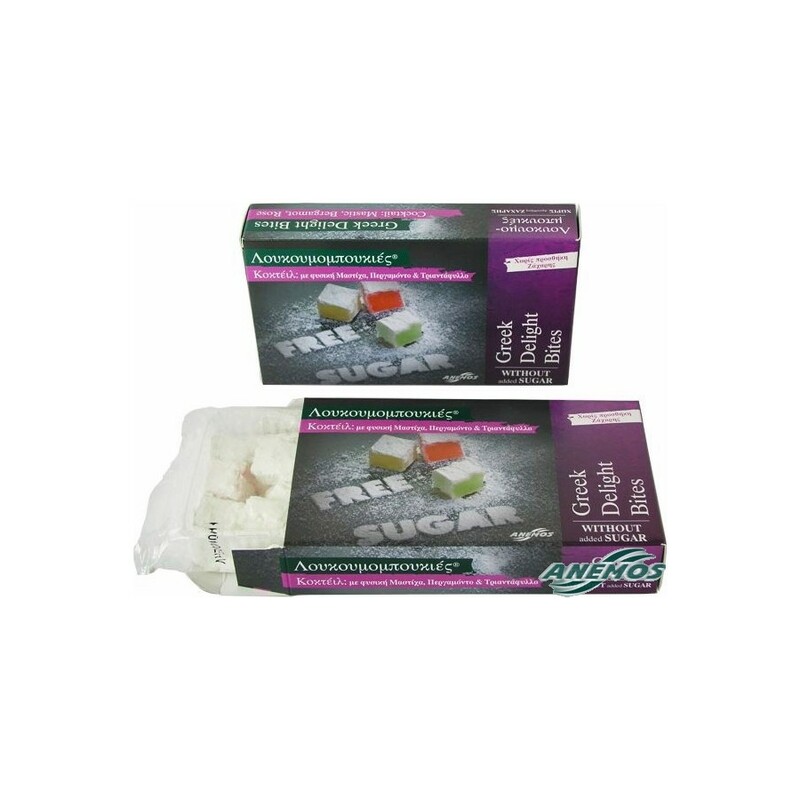 With pleasing and sweet taste, classic loukoumi texture and less calories suitable for diets! Now, they are not just Greek delight. They are also delight. Cocktail. 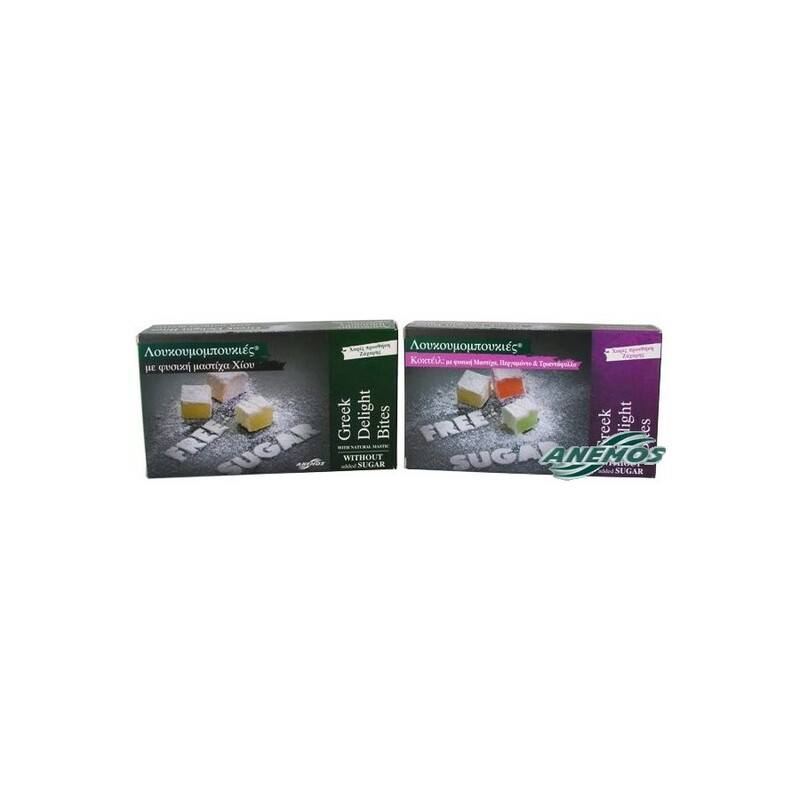 Τhe box contains three different flavors: mastic, rose, bergamot.